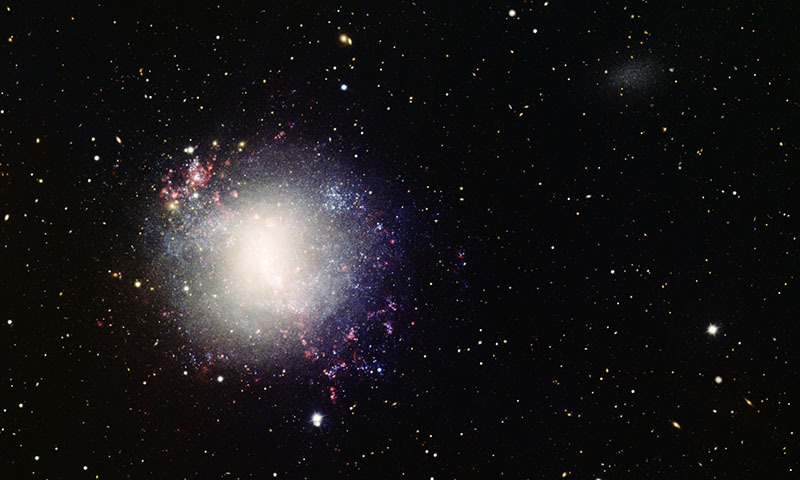 NGC 4214 is a dwarf galaxy that is much smaller than our own galaxy, the Milky Way. Despite its small size, NGC 4214 is undergoing vigorous star formation, made visible by the many red clouds of hydrogen gas. 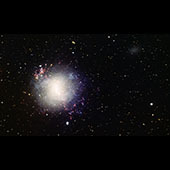 NGC 4214 has a companion, the very small galaxy UGCA 276, which is faintly visible in the upper-right corner of the picture.